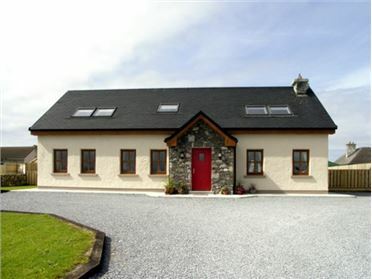 Sound Cottage is a detached, ground floor cottage set in a quiet, coastal position on Achill Island. 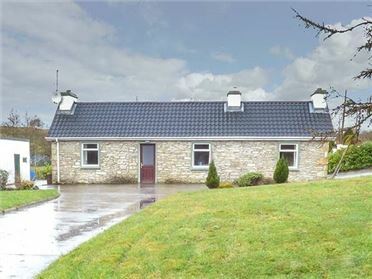 With two bedrooms, one double plus one adult bunk bedroom, along with a double sofa bed in the living room, this cottage can sleep six people. The cottage also includes a shower room, a kitchen with a dining area and a sitting room with a multi-fuel stove. 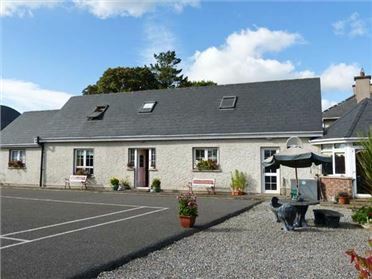 Outside is ample off road parking plus a front lawned garden with furniture. 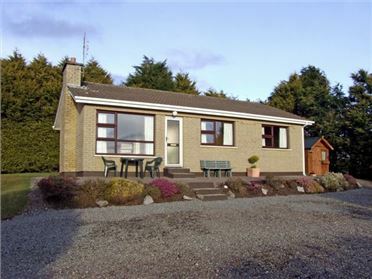 With walks available from the cottage down to the sea, and plenty of activities nearby including golf, watersports and stunning cycle paths, Sound Cottage is a perfect retreat for a couple or a small family looking for a peaceful base on Achill Island. All ground floor. Two bedrooms: 1 x double, 1 x adult bunks. Shower room with shower, basin and WC. Kitchen with dining area. Sitting room with double sofa bed and multi-fuel stove. Electric storage heaters with multi-fuel stove. Electric oven and hob, microwave, fridge, washing machine, tumble dryer, TV with Free-to-air channels, DVD, selection of books and games. Fuel, power and starter pack for stove inc. in rent. Bed linen and towels inc. in rent. Cot and highchair. Ample off road parking. Front lawned garden with furniture. Two well-behaved dogs welcome. Sorry, no smoking. Shop and pub 2 miles. Coast 2 mins walk. Note: This property is surrounded by farmland, so pets must be kept under strict control. Note: Though all ground floor, there is a step between the kitchen and hall, which leads to the bathroom.